The suspect in a deadly school shooting that left nine students and one teacher dead on Friday has been identified as 17-year-old Dimitrios Pagourtzis, law enforcement sources tell CBS News. 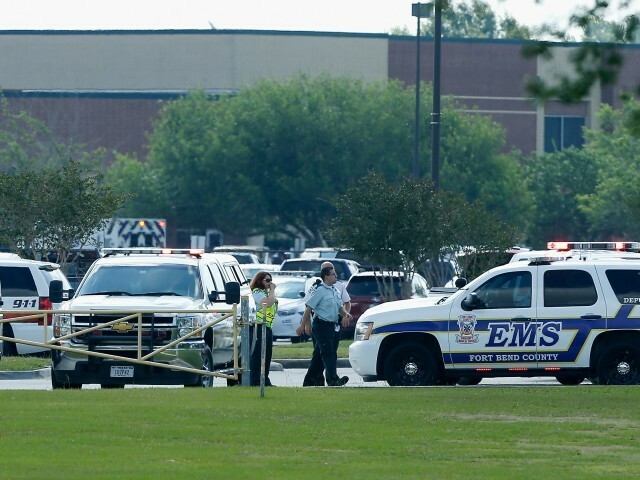 The shooting took place at Santa Fe High School, 36 miles southeast of Houston. Pressure cooker and pipe bomb explosives have also been located at and around the school, CBS News reports. Texas Governor Greg Abbott said 10 people were killed and at least 10 more injured. Stay tuned to Breitbart News for live updates. All times central. UPDATE 10:35 pm: Houston Texans superstar J.J. Watt will reportedly pay for the the funerals of all of the victims. Santa Fe High School officials have been notified that @JJWatt is personally going to pay for the funerals of all the victims of the Santa Fe High School shooting tragedy. UPDATE 8:55 pm: Shooting survivor Madilin Williams tells CNN’s Chris Cuomo that her town is all about “friday night lights” and support for gun control is “very, very small.” She says there will likely be a call for more guns in the community. UPDATE: 6:45 pm: Texas Attorney General Ken Paxton tells CNN’s Erin Burnett they are “looking at another person” and says “I think you’ll be hearing things very shortly.” He says they are still looking to see if there were warning signs that were missed. UPDATE 6:30 pm: Neighbors reportedly heard an explosion near Dimitrios Pagourtzis’s home at 5:40 am, according to CNN. UPDATE 6:20 pm: Suspect makes court appearance. Denied bail. Currently, Dimitrios Pagourtzis is in jail, in solitary confinement, Henry said. UPDATE: 3:45 pm: Santa Fe High School pitcher Rome Shubert is miraculously “completely okay” after being shot in the back of the head. “I’m so grateful and blessed that God spared my life today,” he reportedly said. UPDATE: 3:37 pm: Obama bro trying to fundraise for Dem. Texas Senate candidate hours after ten high school students murdered. UPDATE: 3:25 pm: President Trump orders U.S. flags flown at half-staff. President Trump orders U.S. flags at White house, public buildings flown at half-staff in wake of tragic Santa Fe school shooting. Patrick mentioned that the suspect wore a trench coat, which he regularly wore, when it was 90 degrees. BREAKING: Texas governor says school shooting suspect had shotgun, .38-revolver, and that both belong to suspect's father. BREAKING Texas governor Greg Abbott: A CO2 device, a Molotov cocktail and various other types of explosive devices have been found in a home and in a vehicle. The suspect's vehicle is missing. The suspect wrote journals and had indicated he was suicidal. For updates on the ongoing criminal investigation into today's incident at Santa Fe High School, follow this Twitter account. “Everyone at GOA grieves with those who lost loved ones. Our prayers go out for families of those affected. It’s heartbreaking to see innocent lives lost. “Sadly, the media is focused on this shooting, and they continue to do so because they will use it to advance their gun control agenda. Some outlets are continuing to cite the fake number of mass shootings in 2018, which was refuted by The Washington Post after the tragic Parkland shooting. 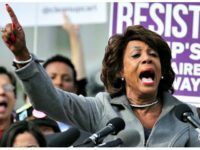 “The mainstream media has ignored potential mass shootings that were stopped by armed personal, such as the school resource officers who stopped shooters in Maryland and Illinois. Six of the eight patients taken to Clear Lake Medical Center have been discharged. One is still in critical condition, reports KHOU 11’s Janelle Bludau. Our hearts are filled with grief over this horrific loss of life. We are thinking of all the students, educators, families, and first responders affected by the attack at Santa Fe High School. No community should have to endure this. It is a tragedy. While we need to learn more about what took place here, it is urgent that we implement the reforms Congress recently passed to make schools safer and keep deadly weapons away from those who should not have them. This is a time to come together in support of the Santa Fe community. The explosives found around the school were pressure cookers and pipe bombs, reports CBS News. MSNBC reports 9 students and 1 teacher have been killed. Senator Ted Cruz releases a statement thanking first responders. The Houston Independent School District sends condolences to the entire Santa Fe ISD community. Our thoughts and prayers are with all of the students, staff, and families affected by this senseless tragedy. We offer our full support to Santa Fe ISD during this difficult time. The HISD Police Department has more than 200 officers assigned to schools and facilities across the district, and they work diligently every day to keep HISD students and staff safe. Today, the department is operating on high alert, and all available officers are on patrol. Additionally crisis counselors are available to students upon request. Law enforcement sources say the shooting suspect has been identified as 17-year-old Dimitrios Pagourtzis, according to CBS News. Pagourtzis “allegedly shouted ‘surprise’ before opening fire on students and teachers,” reports Heavy. “Do not touch any items out of place and call 911 as we have agencies that can respond. Our thoughts and prayers are with our students, staff and our community. Please pray for our Santa Fe ISD community. #SantaFeISD,” reads a second tweet from the account. Speaking at the White House summit on prison reform, President Trump expressed “sadness and heartbreak,” over the shooting. Texas Governor Greg Abbott orders flags at half-staff. Santa Fe Independent School District (ISD) announced via Facebook that “possible explosive devices” were located at the school and off campus. Harris County Sheriff Ed Gonzales told assembled media at 10:45 am local time that currently “eight to 10 fatalities” are accounted for. The figures include students and adult staff. One possible male student is in custody and a second person of interest of student age was also apprehended. A Santa Fe ISD police officer was injured at the scene. The sheriff would not describe the type or types of weapons used or found at the active crime scene. KTRK reports that law enforcement sources say eight fatalities are currently accounted for. The Harris County Sheriff’s Office announced via Twitter the “multiple casualty incident” is no longer active. Several elected leaders took to Twitter to express condolences and concerns in response to the incident. The thoughts and prayers of all Texans are with the people of Santa Fe and those affected by today’s tragic shooting. As horrific reports come out of Santa Fe High School, my office stands ready to assist local law enforcement as needed. The Santa Fe ISD released a second statement via Facebook noting that the “situation is active, but has been contained.” The district confirmed injuries but did not elaborate on whether they involved students or staff. All other campuses within the school district remain unaffected and are open according to regular scheduling. 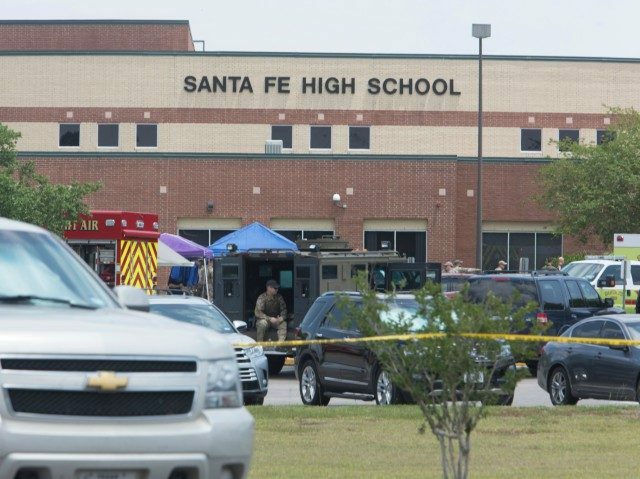 Santa Fe High School leadership tells KTRK that the alleged shooter is in custody. Galveston County Sheriff Maj. Douglas Hudson tells the Associated Press that units responded to reports of shots fired believed to have occurred around 7:45am local time in an art class. Students on the scene told KTRK about hearing fire alarm bells triggering an evacuation. At that time, shots were reportedly fired. Officers are at the scene of the high school campus in tactical gear. Harris County Sheriff Ed Gonzales announced that his department is dispatching units to assist. Galveston County Sheriffs, Santa Fe Police, and the ATF are on the scene located at 16000 Highway 6. Aerial footage provided by KTRK indicates that students are currently being arranged outside of the campus buildings for bag inspections and processing. Three life flight helicopters are responding to the scene. No official information is currently available as to how many people require medical evacuation. Nearby Dickinson ISD confirmed via Twitter that it is now on lockdown as a precautionary measure. Santa Fe ISD employs nine police officers. One was reportedly on the campus at the time of the incident.